traumaforblog: Singles: News-Editorial: Award-Winning Evansville Photographer: Molly Bartels specializing in editorial, wedding and art photography in Evansville, Indiana. 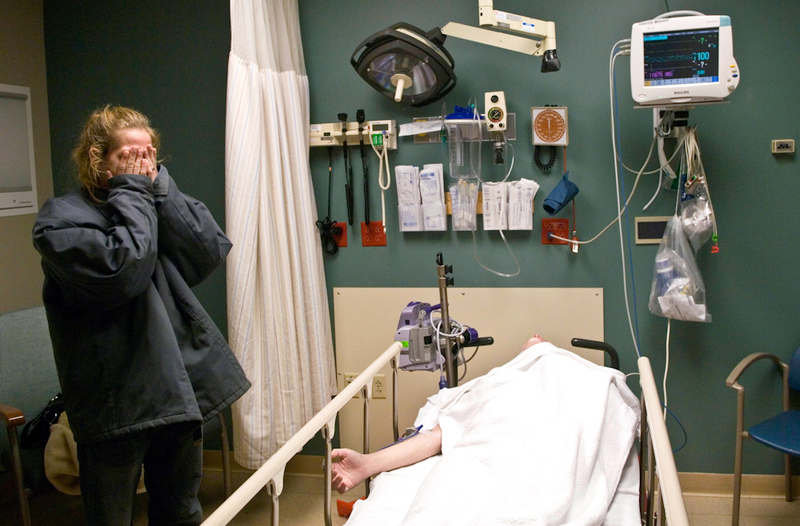 Natasha Hedges, left, is overwhelmed after she and friend, Heather Houston, center, were in a car accident on Wednesday, December 23, 2009. Hedges waits with Houston who was waiting for treatment at St. Mary's Medical Center in Evansville.